In all of my years of beekeeping, it seems to me that when you introduce a new queen into a hive, the bees in the original hive need to contact the new queen’s antenna with their antenna to transfer the queen pheromones. Am I right or wrong? An acquaintance bought a queen and the queen was in a thin cardboard box, similar to a paper clip box, with several small slits in the box about the size of a pocket knife blade. I believe that there was no way the hive bees could come in contact with the new queen’s antenna. Is there another way to spread pheromones? 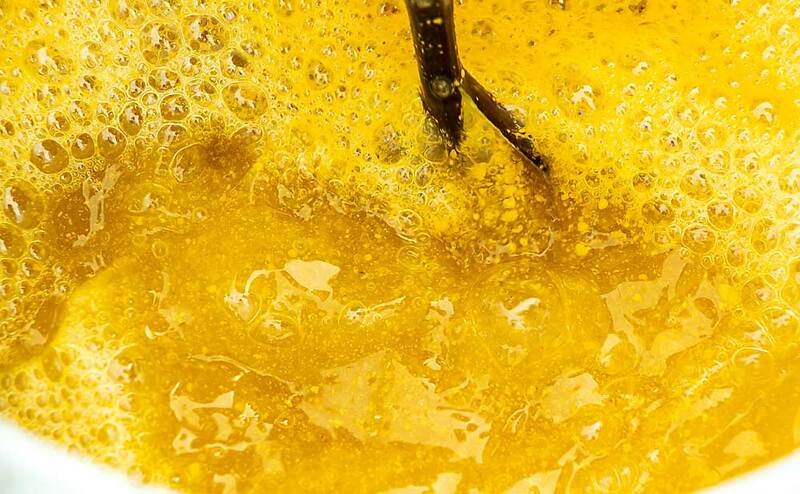 As you may know, most honey bee communication is chemical in nature, carried out through substances called pheromones. Pheromones are produced, not only by bees, but by other insects and animals as well, including beekeepers. We are generally unaware of them, though they exert a powerful, unconscious influence on our bodies and behavior, but in the hive they regulate almost every aspect of life. For example, workers produce alarm pheromones, released when they sting, to alert the colony to threats. 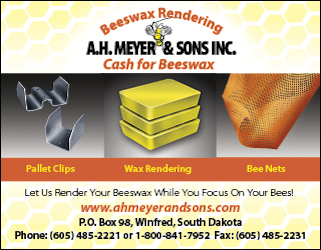 (Many beekeepers say that they can detect the distinctive odor after being stung.) Larvae of all castes produce pheromones which communicate the age of the developing brood, signaling to nurse bees the proper time to feed and to cap cells. 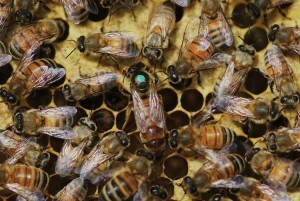 The multiple pheromones produced by the queen, which are manufactured in several glands in her body and made up of dozens of different chemicals, affect numerous behaviors of the colony’s workers. These include feeding of the queen, suppressing the building of queen cells, and repressing the complete development of ovaries in workers to prevent their laying eggs, to name just a few. Her pheromones also carry the reassuring message throughout the hive that the queen is present, playing an important role in the cohesiveness of the colony. I always say that the social order in the hive breaks down if the queen is not present. 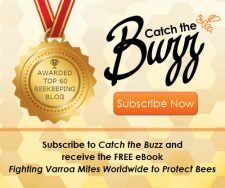 If she disappears from the hive, whether killed by robbing bees or by a clumsy beekeeper, the colony becomes aware of the fact in a very short period of time – within an hour – due to the dissipation of the chemicals making up the queen pheromones. The bees then start to become agitated, and soon begin to produce queen cells. If a larva of the correct age is not available to develop into a future queen, the colony will lapse into a dispirited, queenless phase, typically when all the brood in the hive emerges and their pheromone contribution to the contentment of the colony ceases. The presence of brood pheromones also inhibits the laying of eggs by workers, and without that restraint, some workers will begin laying after all the brood has emerged. 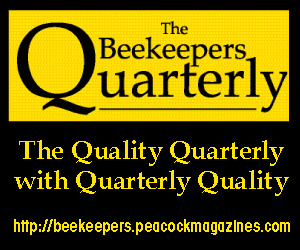 A queenless colony with laying workers has no chance of survival without swift intervention by the beekeeper. I call these colonies “hopelessly queenless”. 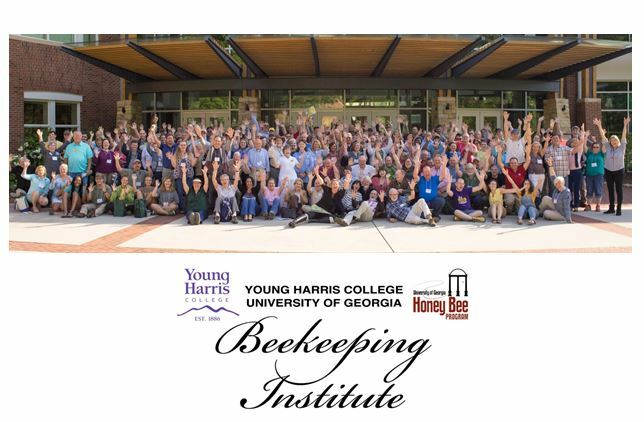 An experienced beekeeper can recognize a laying worker colony as soon as the cover is removed from a hive, by the “unhappy queenless roar” produced by the bees – very different from the normal contented buzzing of a queenright colony. Conversely, when a beekeeper introduces a new queen into a hive, the bees quickly become aware of her presence as her pheromones permeate the hive. Photo by Mark K. Parnell. The question is, how is that accomplished? Do queen pheromones have to be transmitted by physical contact, by the direct touching of antennae to antennae, which would be prevented by isolating her in a cardboard box with a few thin slits? The answer is no. Though they are often spread by direct touch from queen to workers and then worker to worker throughout the colony, queen pheromones are also transmitted through the air. We see evidence of this when we unite two colonies, one with a queen and one without, separating the boxes by a sheet of newspaper, with slits cut in it. Within a matter of hours, the bees eat through the newspaper creating a single colony. The bees from the old, queenless colony accept the new queen due to the volatile transmission of her queen substance through the slits, and likely through the thin newspaper as well. That pheromones can be airborne is also demonstrated in the attraction of drones to a queen during mating. Though they have good eyesight, drones also depend on a queen’s pheromones to locate her. Try this experiment sometime when installing a queen. Set the caged queen down near a hive, and within a few minutes you will see bees on and about the cage, having been drawn by her pheromones when no physical contact was possible. Whether a new queen is introduced in a conventional queen cage or in a homemade cardboard box, rest assured that the bees will be aware of her almost immediately and will recognize her for what she is. How can I remove wild bee comb and brood that I just boxed yesterday from an old log section where they were originally located, and relocate them into frames? I put them in two brood boxes with frames between them, but know they can’t stay that way very long. Congratulations. You’ve already finished the most difficult part of the job; the rest will be easy. 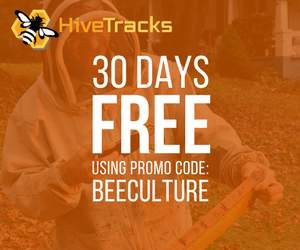 Relocating honey bee colonies from trees, houses, out-buildings, etc. 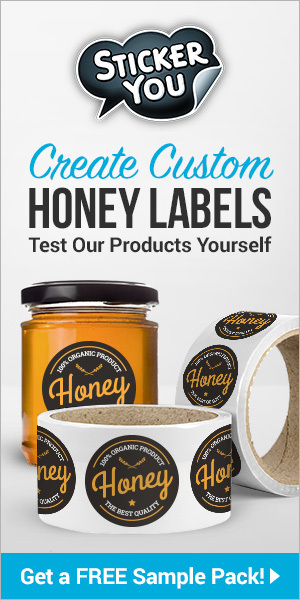 provides a source of bees for many beekeepers and a source of income for some. 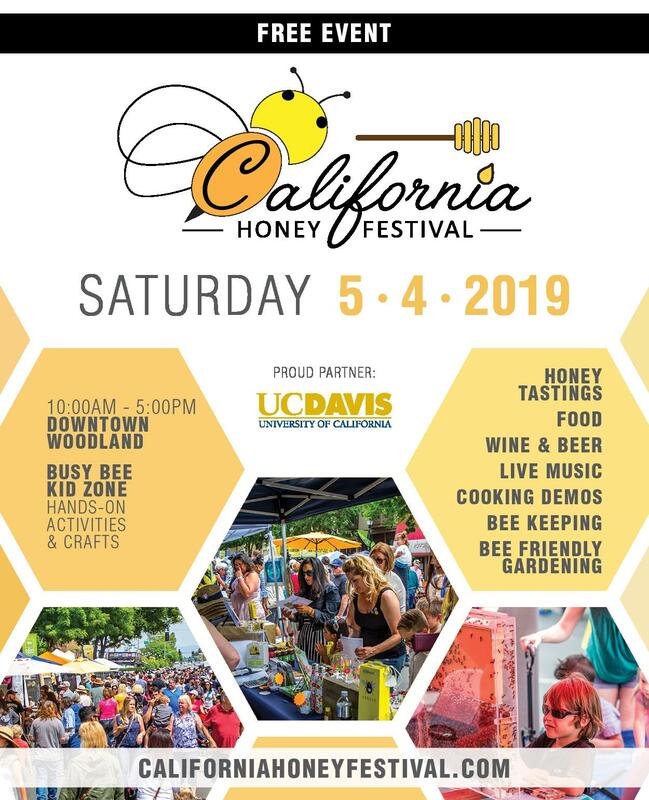 When honey bees swarm, they seek out a location with an empty cavity several gallons in volume and preferably an entrance about 15 to 20 feet above the ground. An opening in the wall or soffit of a structure such as a house provides an ideal colony site for a swarm, especially if insulation is missing or contains voids. My family lives in an older frame house with about 20 hives of bees sitting 200 feet away and throwing out swarms every spring. I was always amazed that we didn’t end up hosting a colony or two within our walls before we replaced our old wood siding. Perhaps the bees preferred some or the many trees around us, or else we were just lucky. 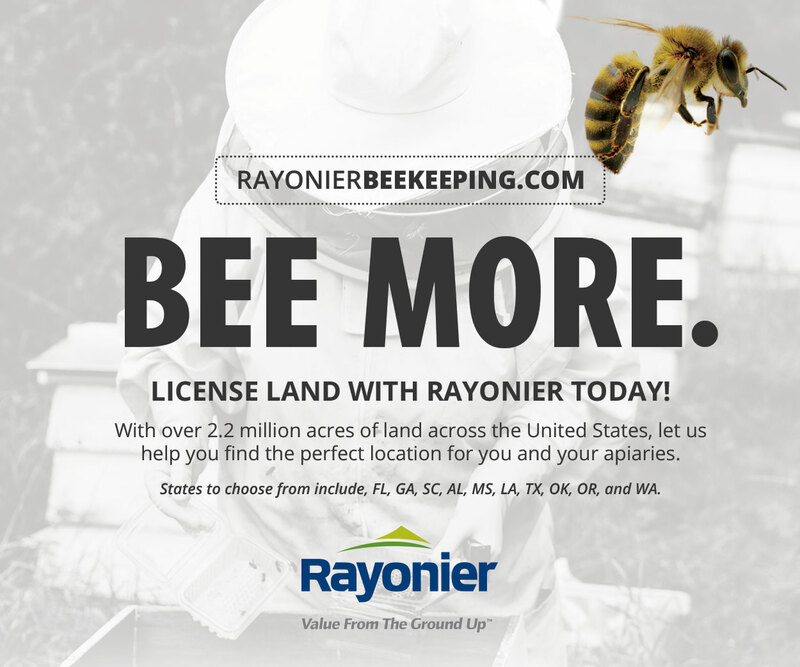 While some homeowners call in exterminators when they end up sharing their living quarters with a feral colony, many turn to beekeepers to relocate the bees to a new home instead. 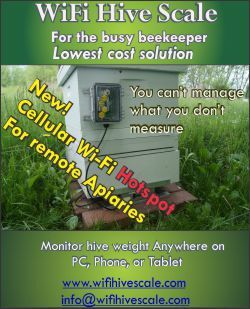 That solution has obvious benefits for the bees, but can also be a better option for the homeowner. I once heard that poisoning a strong colony and leaving it in situ has an effect similar to that of having a cat die inside your wall: odor associated with decay, a lure for other insects and vermin, not to mention the likelihood of the honey and comb attracting another colony unless every potential access has been completely sealed. Installing comb from feral colony into a frame. Photo by Fritz Vorisek. Though it is often a lot of work (even more if the colony’s location is high in a tree or in a second story wall), the removal process is pretty straight forward. Split the log with a chainsaw or cut open the wall (suit up – the bees may not appreciate the disturbance), and carefully cut out the exposed comb including as much of the brood comb as possible. 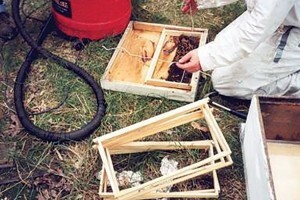 The comb can be transferred to empty frames (without foundation), and placed in a hive body. 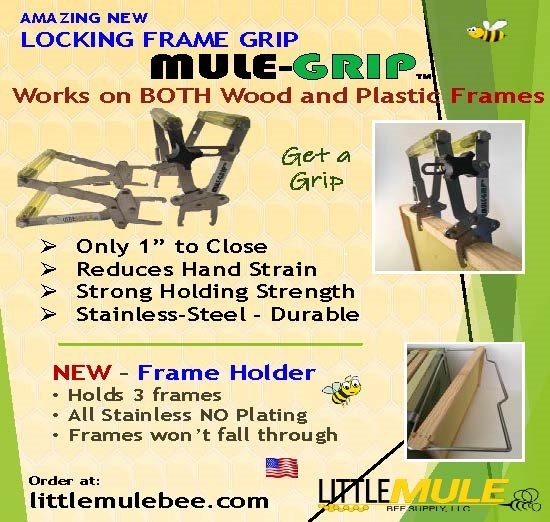 As I understand it, your question is about how to attach the removed comb to the frames. Actually this is pretty easy. You may need to do some trimming to match the comb to the frame size, but it can be temporarily held in place with string, or even rubber bands – see photo. The bees will permanently attach the comb and fill any voids, but string or rubber bands will work until they do. You should also leave them some comb with honey in the same manner. One factor which can complicate bee removals is location; the bees may be difficult to get at or, as I mentioned before, high off the ground. Another is that the beekeeper is working away from home with no way of knowing what the specific conditions at the site will be. He or she needs to come equipped for any contingency. But sometimes you get lucky. A homeowner once called a friend of mine, who removes bees for a fee, about some honey bees inside her garage. She could see them going in and out through an opening next to a window frame and assumed they were building comb in the adjacent wall. However, my friend quickly realized that the bees were going through the wall and into the garage, rather than into the wall. The garage was empty except for an old fashion steamer trunk sitting in the middle. He watched for a while, and observed bees flying in and out of the trunk’s keyhole. Upon opening it, he found it full of drawn comb and honey bees. With the permission of the owner, he simply moved the trunk into the back of his truck and took it home – the quickest removal he had ever performed. I have also known of bees being found in empty wooden crates, and old water or gas tanks. In such cases, the container can be transported intact and the actual extraction done in a location convenient to the beekeeper. Most removals, however, are not that easy. 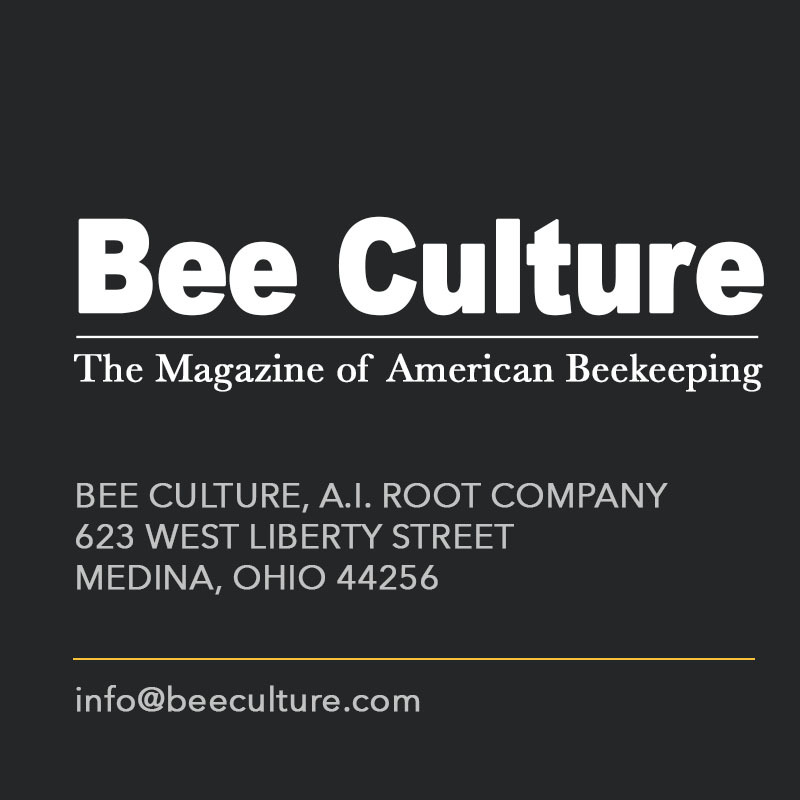 A word of caution to Bee Culture readers who live in parts of the country where Africanized bees have been identified: do not attempt relocations without proper equipment and experience, and even then do so only with the utmost care. The risk of a serious stinging incident is high not only for the persons doing the removal, but also for anyone in the area. 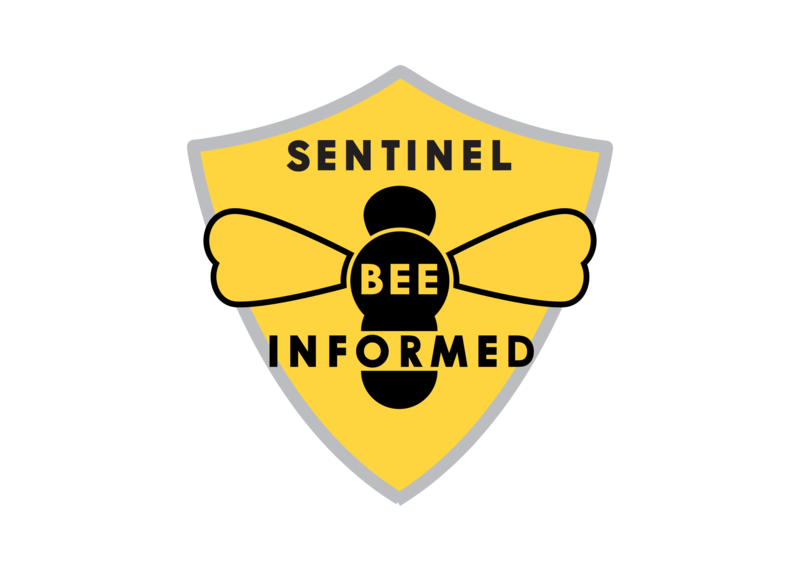 Some state apiary regulations restrict or forbid removal and relocation of honey bee colonies for this reason. Be especially cautious if the location of the colony is atypical. 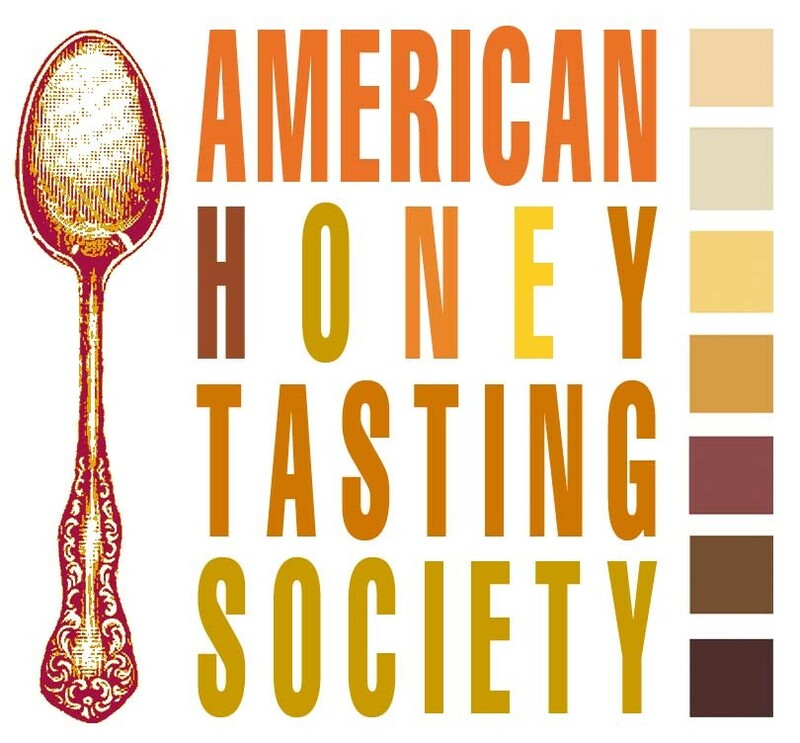 Africanized honey bees are less choosy than their European cousins and have been known to colonize sites near the ground or in other unexpected places. I have an ornamental pond (18’ x 12’) in my backyard within about 25 feet from my hives. It has water lilies in it. All Summer I rarely saw bees there. Since the goldenrod have come into bloom, there are a multitude of bees. They land on the water lily leaves for a drink. 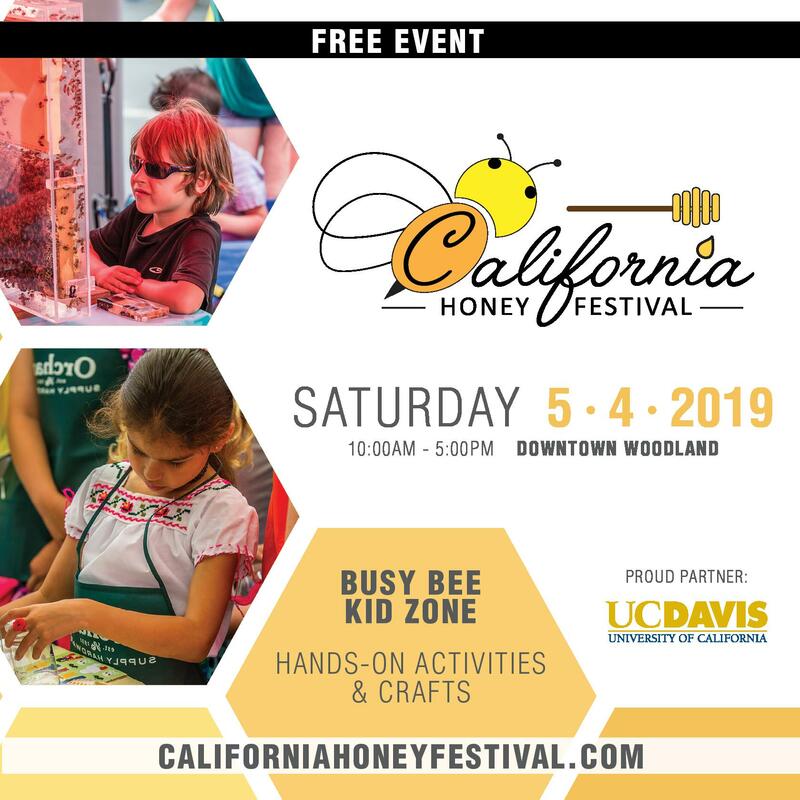 Is there a correlation of honey flow and hydration? A number of conditions might have led to the increased popularity of your pond, recent dry weather being one of them. Here in Kentucky (I live not too far from you), we had more than adequate rainfall in the spring and summer, but precipitation this fall has been below average. Your bees may have been exploiting another water source which has recently dried up. Except in the most arid conditions, honey bee colonies are capable of locating enough water to fulfill their needs. 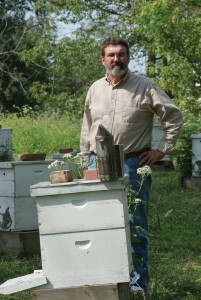 Never-the-less, many beekeepers without a good natural water source near their hives like to provide an artificial one. 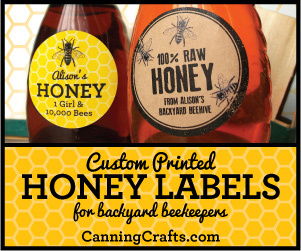 Most do this in order to keep their bees from becoming a nuisance to neighbors. Your bees’ nearest water supply may be your neighbor’s swimming pool, their dog’s water dish, or a drip from their water hose spigot. Mine used to prefer our bird bath until my wife pointed out to me that the bird bath was for birds, not bees. 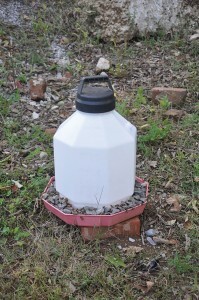 I now use a modified chicken waterer to provide a more acceptable water source and keep peace in the family. 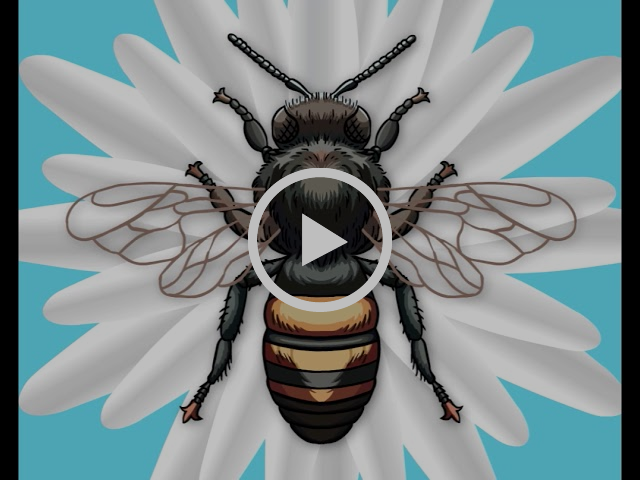 One consideration when providing water for bees is making sure that it is shallow enough or that they have a place to alight in order to preventing them from drowning. My chicken waterer contains gravel in the trough for this purpose. Your water lilies also make a convenient landing pad from which to sip safely. I have seen numerous other watering devices created by beekeepers, some as simple as hoses slow dripping into shallow pans. So, if you would prefer that your pond remain strictly ornamental and less utilitarian, you have lots of options.